Who are redspokes Adventure Tours Ltd? redspokes began life in 1990 as a collective of cyclists who specialize in cycling remote and spectacular roads in secluded areas of the planet. As a direct result of these experiences we decided to start taking small groups of friends and acquaintances to areas that offer not only fantastic cycling, but also significant cultural interest. The success of these tours prompted us to start a small company with the aim of bringing this type of exciting and rewarding trip within a price range that we, as seasoned travellers, think is reasonable. Without cutting any corners on safety or (where possible) comfort, our tours are informal, and designed to cover areas that we as cyclists, have enjoyed immensely. At redspokes we are committed to ensuring that our tours not only support the local economies but also respect local cultures. We do this by employing local guides and drivers, staying mostly in family run accommodation and where possible building relationships with the local communities. Ensuring that our trips make as little environmental impact as possible is also essential to redspokes. We welcome travellers who, like us, wish to promote better understanding and awareness among people from different cultures and backgrounds. With redspokes you will be travelling in small groups averaging 12 people (not exceeding 16). We feel that this is important because it causes as little environmental damage and disturbance as possible, whilst making it easier to make genuine contact with local people. We have also found that in smaller groups it can be easier to develop a sense of camaraderie and friendship with your fellow travellers. Many of our tours are run by our experienced local guides. Some of our more adventurous, remote itineraries are led by a UK redspokes guide in addtion to the local team. All of our guides are experienced cyclists and travellers. It is their job to lead the group, support you and ride with you throughout the tour. Selected for their knowledge of destinations and leadership qualities, our guides are from a range of backgrounds; each has their own individual qualities which add to your experience. They will, in most cases, be fully trained in first aid for adventure travel and are competent bike mechanics. On some tours a bike mechanic will also accompany the group and look over and service your bike daily. 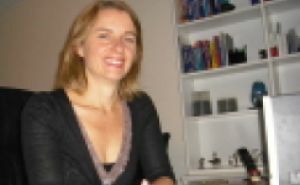 Bryony joined redspokes in 2008. She is responsible for all aspects of company management including developing itineraries and staff training. She has an extensive knowledge of our tours. Bryony particularly enjoys the cultural diversity of working with our local teams in such a variety of destinations. Linette joins us as a welcome addition to the team. 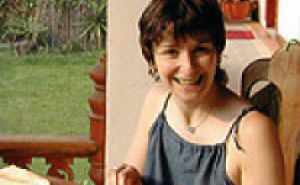 Based in Inverness, Linette has many interests and, not surprisingly, travel comes high on the list as well as running, trekking and the sanctuary of yoga retreats. Karen, a recent addition to the redspokes team based in Inverness, works with us part-time helping clients in her role as a trip coordinator. 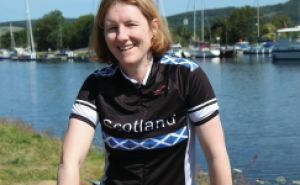 A keen runner and mountain walker, Karen also enjoys cycling - especially if the path is flat and the sun is shining. Mary has been helping redspokes for the past few years assisting with our office work, keeping the wheels turning for us when everyone is on tour. 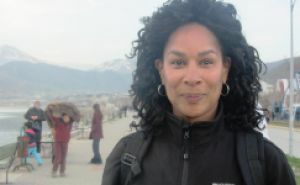 A keen outdoor person and fitness fanatic, she also loves travelling. Dermot has had a wide range of jobs, from welder in his native Scotland, to a mental health crisis worker in London, before setting up redspokes. He has travelled extensively throughout the world, and has a passion for finding areas of the world that are less travelled. 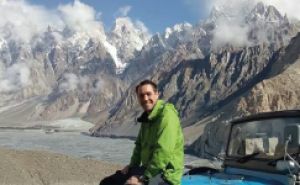 Lee has helped develop our off road rides in both the UK and Pakistan. He has led tours in the UK, Peru, Tibet and India. He always seems to be on hand if anyone needs help, nothing ever seems to be too much trouble for him. A strong passionate mountain biker who's welcoming and supportive nature makes him a valued leader. 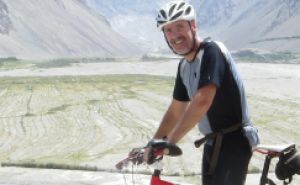 Giles is a keen cyclist, lover of distant places, wonderful food and encouraging people to make it to the top still with a smile on their face. He has been on tours across Tibet and even all the way to Brighton and is looking forward to the next adventure. Carl has been lead guide over the past few years for some of our more challenging tours. Carl’s easy going nature and calm, decisive manner, developed in his job as a firefighter, are valuable qualities for a redspokes tour leader. 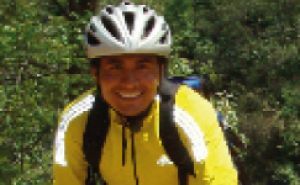 Carl is a keen, strong cyclist with a love of travel and adventure. Another new member to the redspokes team who we are happy to have on board. 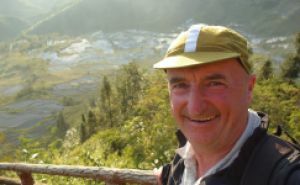 Craig is well travelled, and has broad experience of guiding activity holidays. 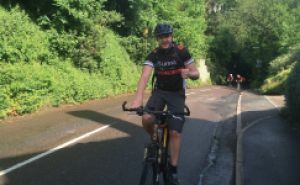 With an easy going personality Craig has proved to be a calm, supportive and organised trip leader, popular both with redspokes cyclists and with the local team. As well as being a bike mechanic whizz, Stuart’s leadership skills and logistical approach make him a safe pair of hands while leading our tours. His favourite tour eulogy reads: ‘Stuart – the tour captain. Ran a good ship, well organised and great fun. Likes a drink and was disappointed by my lack of alcohol consumption. Strong on a bike.’. Ian has been leading our Scotland tour for the last few years and we are very pleased that he will be leading some of our tours in South East Asia in the coming year. In addition to being a very popular guide Ian is a nurse and his medical expertise and strong interpersonal skills are a winning combination. Suresh led two of our 2008 tours to Nepal and Tibet. He is a former Nepal National cycling champion who now lives in the UK. A number of people in the groups he has led commented not only on his cycling expertise but also on how they appreciated his attentive and supportive approach to tour leading. 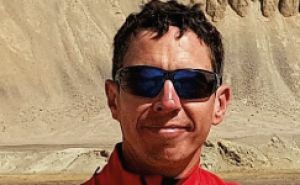 Aidan started guiding with redspokes in 2013 as tour leader in China, Thailand and Laos as well as KKH Pakistan to Kyrgyzstan and more recently our Tajikistan tour. His approach is all about helping people to try to stay within their limits and still enjoy themselves. 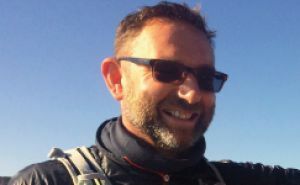 He has a truly adventurous spirit and in his spare time he can be found completing the odd triathlon.